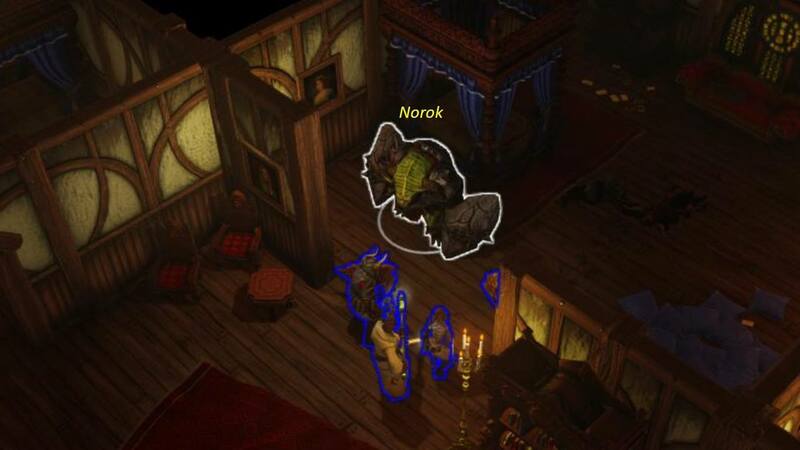 Norok is a level ?? Boss in Divinity: Original Sin Enhanced Edition. Norok is slow. He uses the Broken Toys skill -- it kills the target in one blow , but Nork needs to walk right next to his target first. If he fails, he will not cast it again until 4 turns later. Norok's Broken Toys skill is heavily Action Point-dependent. Therefore it is best to Slow him and simply stay away from him.